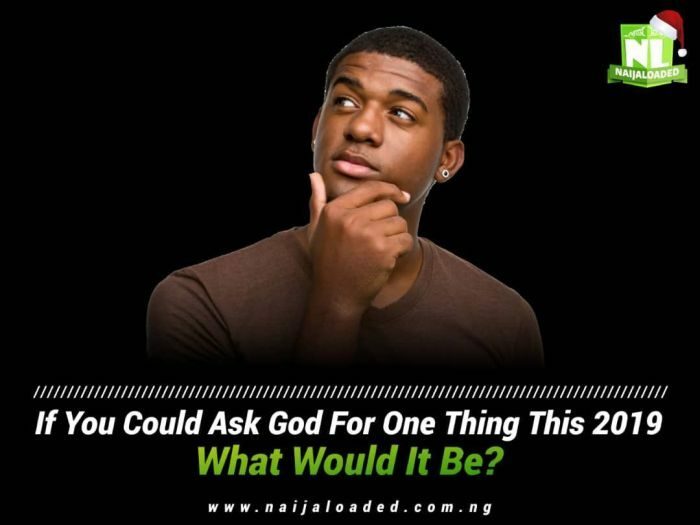 If You Could Ask God For One Thing This 2019, What Would It Be? It’s the second day into a brand new and I guess we’ve all made our wishes as well as resolutions for the year. This year 2019, God has plans for everyone but our prayer is that the plan of God in lives should come through this year and all plans of the devil over our lives should not work. AMEN! !